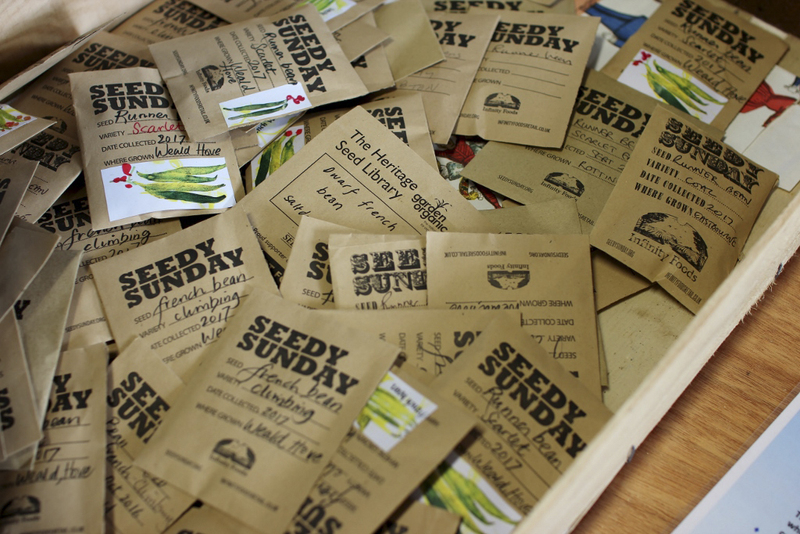 I’m kicking myself for not making the effort to go to Seedy Sunday in Hove last weekend. It was the thought of a long journey on a wet and dreary February day but I know that it would have been worth the effort. 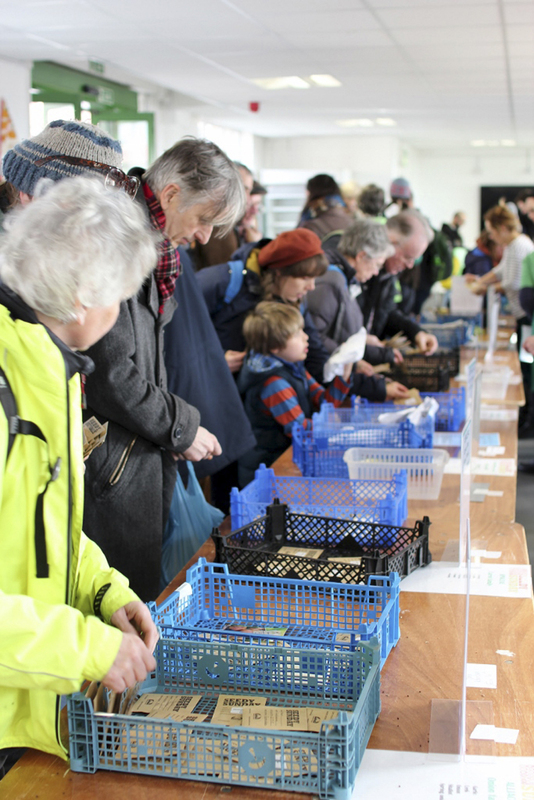 Apart from the seed swap tables where you either swap seeds as the name suggests, or buy interesting home harvested seeds, many of them English heritage varieties, and most with a local provenance, there were over fifty stalls selling everything seedy. Oh, and as an added bonus, the garden experts from Gardeners’ Question Time were there to share their expertise and, by the sound of it, do their own bit of seed shopping. I liked James Wong’s idea of buying up vegetable seed packets which are out of date and growing the seeds on as micro greens – cropping them when they are still tiny. However, I suspect that most retailers whisk these packets off the shelves pretty promptly and replace them with the new season’s seeds. But what happens to all those perfectly viable seeds that are presumably returned? 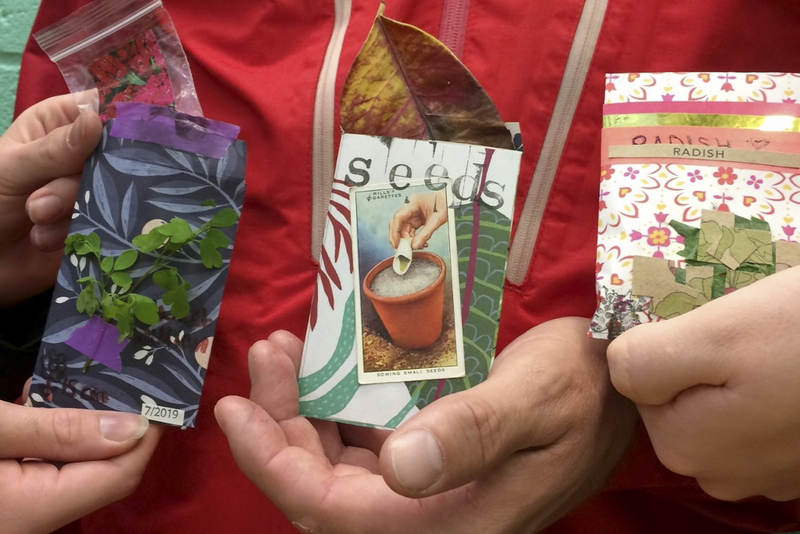 I don’t know about you but we seem to find seed packets in odd corners of the shed and provided they have been kept dry, there is every chance that they will burst into life when sown even if they are apparently past their ‘sell buy’ date. 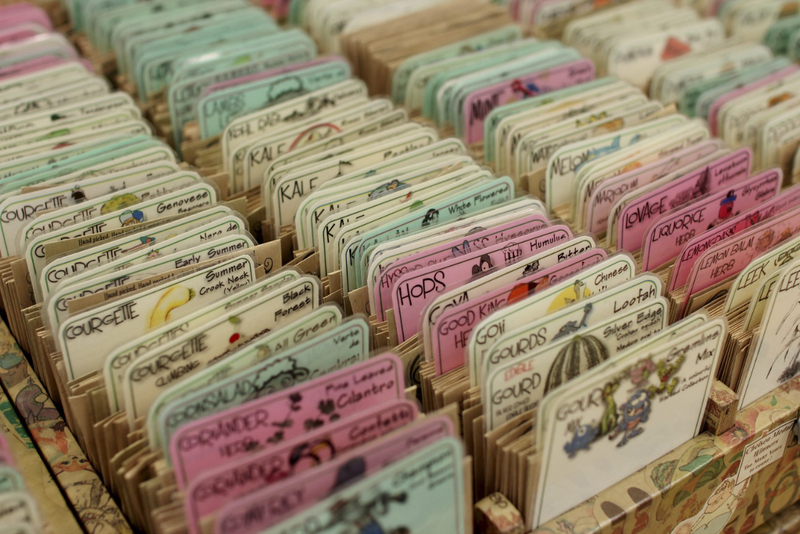 Visiting a seed swap is such an easy and economical way of buying fresh and perhaps unusual varieties and whilst you’re doing that, you are making a bit of a stand against the few large seed companies who tend to monopolise garden centres. Having said that there are still wonderful exceptions with smaller seed companies producing fascinating plants and vegetables. And now there is still plenty of time to pore over catalogues and order. By the time you’ve done that, the rain might have eased off a bit as there really is no point in sowing in wet, cold, claggy ground. I very much liked the sound of home-made clay ‘seed bombs’ sold at Seedy Sunday, much loved by ‘guerilla gardeners’ and anyone else of like mind who wants to green up wasteland and roadsides as well as barren patches in their own gardens. It is always such a treat to see little patches of colour appear alongside busy roads and on dreary roundabouts where some like minded person has made a bit of an effort. We pass a little garden underneath a rather bedraggled street tree in Brixton quite regularly. The gardener there often pops out for a little chat to discuss his marigolds and Mexican daisies that flourish despite the attention of marauding cats and feral foxes. And of course the ‘bombs’ would be perfect for a school garden. The Bumblebee Conservation Trust recommend one which contains wildflower seeds for scattering in either spring or the autumn. They are protected with ‘added chilli’ which, it seems, protects the seeds from predators like slugs and ants. The only thing to remember with wildflowers is that they do best on poor soil and would have a bit of a struggle if sown into grass. 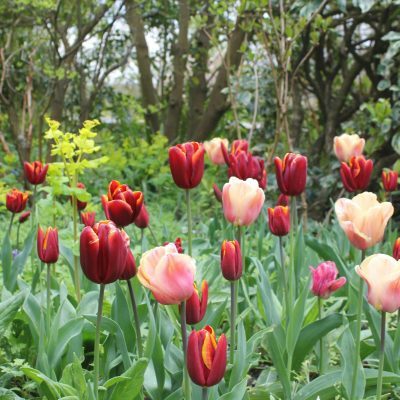 The seed bombs remind me of the story of Ellen Willmott, an Edwardian plantswoman who gardened at Warley Place in Essex and had gardens in both France and Italy. She had inherited a fortune and spent it lavishly on her passion, employing over a hundred gardeners at one time. 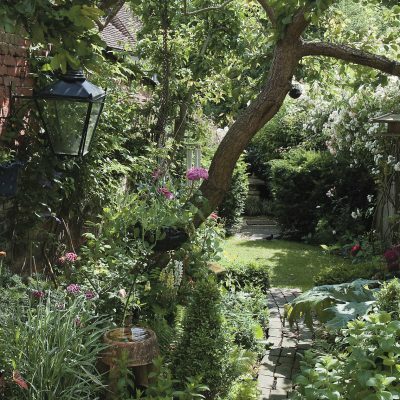 She would, it seem, keep seeds in her pockets when visiting friends’ gardens and would surreptitiously sprinkle them in their borders as she passed. The plant that she is famous for distributing is a beautiful one: Eryngium giganteum or ‘Miss Willmott’s Ghost’. I would happily have invited her to share a few seeds with me. 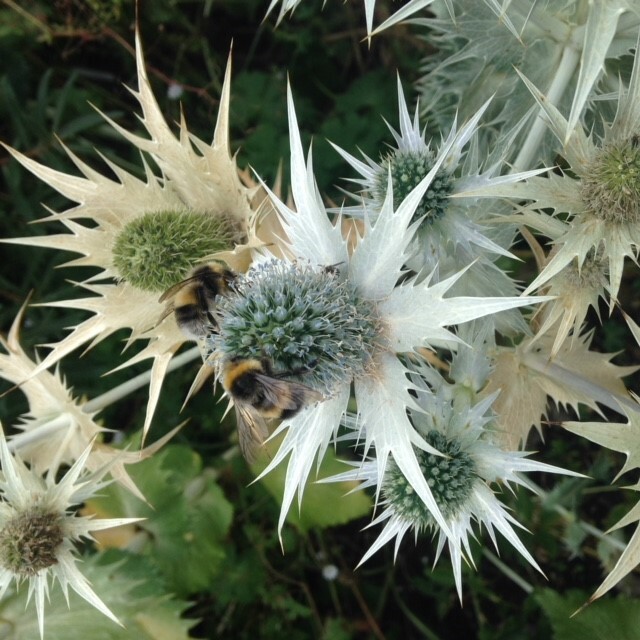 E. giganteum’s name could really apply to the plant’s colouring as this big, bold, spiky eryngium – it can grow to over a metre – has late flowers which are surrounded by a ghostly silver ruff. If you want to encourage bees and other beneficial pollinating insects to your garden, buy some seeds and sow liberally. It’ll self-seed and you can then do Miss Willmott’s job for her and pass some on to friends. Chiltern Seeds’ forty-second catalogue has just come out: compulsive reading for the plantaholic. What I like is not only the variety available but the fact that it is a family business born of a keen gardener’s hobby. You’ll find ‘Miss Willmott’s Ghost’ in there along with scrumptious trees, vegetables, annuals, perennials and everything else in between. I like the thought of perennials such as Perovskia atriplicifolia ‘Taiga’, a new variety of the original species native to Afghanistan, flowering away in its first season. It is lovely for cutting and provides a wonderful, nectar rich, late flowering cloud of blue. We’re going to experiment with a new tobacco plant this year. Nicotiana hybrida ‘Starlight Dancer’ is a new colour form of N. langsdorffii with its small, limey, tubular flowers. The anthers of N. ‘Starlight Dancer’ are a lovely chocolate brown. The thing about tobacco plants is that they have such a long season and this one can be woven through other border plants to knit your planting scheme together. The Jamaican forget-me-not or Browallia americana is a self-seeding annual grown from seed which you might want to try this season. Sow in late spring in a seed tray in a greenhouse/conservatory or porch. 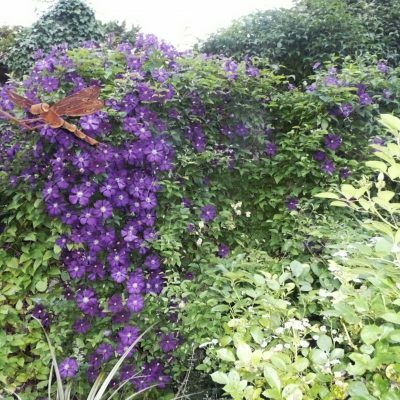 Browallia americana has tiny, long flowering, amethyst blue flowers which float in a rather gentle way through other plants. Great Dixter used it to great effect in their borders last year and I saw a really striking image taken by Jonathan Buckley of the browallia growing with Phlox ‘Nora Leigh’ with its white splashed leaves and a pinky mauve flower. I see that seeds are available from the nursery at Great Dixter and by mail order. Sue Whigham can be contacted on 07810 457948 for gardening advice and help in the sourcing and supply of interesting garden plants. Receive the latest interiors inspiration, recipe ideas, fashion news, gardening tips and more straight to your inbox.